Lower back pain will affect most adults at least once in their life time. Some individuals are lucky and only experience an acute bout of back pain. Others are less fortunate and progress into a state of chronic lower back pain. The good news is that a number of chronic lower back pain patients can benefit from a carefully structured exercise programme and lifestyle modification. Exercise can help in reducing lower back pain and associated functional disability. However, when it comes to determining what the “right” kind of exercise is, it may become difficult to determine fact from fiction with so many opinions available online. There is an overwhelming amount of information on exercise rehabilitation for lower back pain and unfortunately a lot of misinformation. Sifting the truth from post-truth can be tricky. That is why it is important to look deeper than just blogs and social media shares. That is where the Cochrane group comes in. They are the scientists who scrutinise scientists and keep the public up to date on relevant topics. Cochrane reviews are systematic reviews of primary research in human health care and health policy. Cochrane reviews are internationally recognized as the highest standard in evidence-based health care. They investigate the effects of interventions for prevention, treatment and rehabilitation. They also assess the accuracy of diagnostic tests for some conditions in a specific patient group and setting. 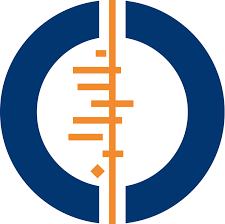 Cochrane reviews are published online in the Cochrane Library (LINK). Who are the Cochrane Back and Neck group? Summary: Motor control exercise (isolating specific muscles such as Transversus Abdominus) showed no benefit over spinal manipulative therapy, other forms of exercise or medical treatment for reducing pain or disability among patients with acute and subacute LBP. Review question: To evaluate the effectiveness of motor control exercise (MCE) (isolating specific muscles such as Transversus Abdominus) for patients with acutenon-specific low back pain (LBP). Background: LBP is a common disorder that is often associated with pain and disability. One common intervention for patients with LBP is exercise therapy, and MCE is widely used for these patients. However, its effectiveness for patients with acute LBP remains unclear. Search date: Evidence is current to April 2015. Study characteristics: The Cochrane Library included in the review three trials evaluating acute or subacute pain in patients with LBP (n = 197 participants). Most participants were middle-aged and were recruited from primary or tertiary care centres. Duration of treatment programmes ranged from four weeks to six weeks. Key results: MCE showed no benefit over spinal manipulative therapy, other forms of exercise or medical treatment for reducing pain or disability among patients with acute and subacute LBP. Whether MCE can prevent recurrences of LBP remains unclear. Quality of the evidence: Results of this review include evidence of very low to moderate quality. The Cochrane back and neck group downgraded all comparisons for imprecision due to small study sample sizes. Review question: To evaluate the effectiveness of motor control exercise (MCE)(isolating specific muscles such as Transversus Abdominus) in patients with chronic non-specific low back pain (LBP). Background: Motor control exercise is a popular form of exercise that aims to restore co-ordinated and efficient use of the muscles that control and support the spine. Patients are initially guided by a therapist to practise normal use of the muscles during simple tasks. As the patient’s skill increases the exercises are progressed to more complex and functional tasks involving the muscles of the trunk and limbs. Search date: The evidence is current to April 2015. Study characteristics: In total, 2431 participants were enrolled in 29 trials. The study sample sizes ranged from 20 to 323 participants, and most of them were middle-aged people recruited from primary or tertiary care. The duration of the treatment programmes ranged from 20 days to 12 weeks, and the number of treatment sessions ranged from one to five sessions per week. Sixteen trials compared MCE with other types of exercises, seven trials compared MCE with minimal intervention, five trials compared MCE with manual therapy, three trials compared MCE with a combination of exercise and electrophysical agents, and one trial compared MCE with telerehabilitation based on home exercises. Key results and quality of evidence: MCE probably provides better improvements in pain, function and global impression of recovery than minimal intervention at all follow-up periods. MCE may provide slightly better improvements than exercise and electrophysical agents for pain, disability, global impression of recovery and the physical component of quality of life in the short and intermediate term. There is probably little or no difference between MCE and manual therapy for all outcomes and follow-up periods. Little or no difference is observed between MCE and other forms of exercise. Given the minimal evidence that MCE is superior to other forms of exercise, the choice of exercise for chronic LBP should probably depend on patient or therapist preferences, therapist training, costs and safety. Summary: The overall quality of the evidence in this review ranged from low to moderate. There is some evidence for the effectiveness of Pilates for low back pain, but there is no conclusive evidence that it is superior to other forms of exercise. Review question: To determine the effects of the Pilates method for patients with non-specific acute, subacute or chronic low back pain. Background: Low back pain is an important health problem around the world. One of the most common treatments is exercise and in recent years Pilates has been a common option for treating low back pain. Search date: The Cochrane back and neck group conducted searches up to March 2014. They updated the search in June 2015 but these results have not yet been incorporated. Study characteristics: This review included 10 studies and 510 patients. All studies included a similar population of people with non-specific low back pain. The studies only included participants with chronic low back pain. The duration of the treatment programmes in the included trials ranged from 10 days to 90 days. The duration of follow-up varied from four weeks to six months. None of the included studies measured follow-up beyond six months. The sample sizes ranged from 17 to 87 participants. Key results: The included studies demonstrated that Pilates is probably more effective than minimal intervention in the short and intermediate term for pain and disability outcomes, and more effective than minimal intervention for improvement in function and global impression of recovery in the short term. Pilates is probably not more effective than other exercises for pain and disability in the short and intermediate term. For function, other exercises were more effective than Pilates at intermediate-term follow-up, but not at short-term follow-up. Thus, while there is some evidence for the effectiveness of Pilates for low back pain, there is no conclusive evidence that it is superior to other forms of exercise. Minor or no adverse events were reported for the interventions in this review. Quality of evidence: The overall quality of the evidence in this review ranged from low to moderate. Summary: No evidence for or against scoliosis specific exercises. The two included studies yielded very low quality evidence that SSEs added to other treatments are more effective than electrical stimulation, traction and posture training for avoiding curve progression, and that SSEs as a standalone treatment yield almost the same results as general physiotherapy. Adolescent idiopathic scoliosis (AIS) is a rare (2% to 3% of the general population) spinal deformity affecting young people aged 10 through the end of the growth period. The deformity may continue into adulthood. AIS is characterised by one or more three-dimensional spinal curves. Disability, cosmetic deformity, pain, activity limitation, quality of life issues, breathing problems and the possibility of the scoliosis remaining with the person into and throughout adulthood are commonly associated with this condition. The cause of AIS is unknown. Treatment for AIS varies according to the degree of severity of the curves. Just the same, exercise is almost always a part of the treatment plan. In milder cases, exercise may be the main treatment, and in more severe cases it may serve as an adjunct. In the UK and the US, physical therapy for scoliosis consists mainly of general strengthening and stretching exercises, along with exercise protocols with which the treating therapist is familiar. There is a corresponding feeling among practitioners in these geographical locations that physical therapy for scoliosis is not effective. Scoliosis specific exercises (SSEs) are individualised exercises aimed at reducing the deformity. SSEs are taught in clinics that specialize in scoliosis. The exercises work by changing the soft tissue that affects the spine. SSEs are also thought to work by altering control of spinal movement. There are no known side effects or risks to using SSEs. The purpose of this review was to evaluate the effectiveness of SSEs in reducing curve progression and postponing or avoiding invasive treatment such as surgery in adolescents with AIS. Two studies involving 154 patients total were included. The review found no evidences for or against SSE. The two included studies yielded very low quality evidence that SSEs added to other treatments are more effective than electrical stimulation, traction and posture training for avoiding curve progression, and that SSEs as a standalone treatment yield almost the same results as general physiotherapy. Possible limitations of this review included the small number of studies that met the inclusion criteria and a high risk of bias, particularly selection bias. More randomised controlled trials are needed in this area, along with a deeper understanding of the types of SSEs useful for the adolescent with AIS. Summary: Moderate quality evidence that post-treatment exercises can reduce both the rate and the number of recurrences of back pain. However, the results of exercise treatment studies were conflicting. Limitations of this review include the difference in exercises across studies, thus making it difficult to specify the content of such a programme to prevent back pain recurrences. Back pain is a common disorder that has a tendency to recur. The Cochrane back and neck group conducted this review to see if exercises, either as part of treatment or as a post-treatment programme could reduce back pain recurrences. The Cochrane back and neck group searched for studies that included persons with back pain experience, interventions consisting of only exercises and that measured recurrences of back pain. There were nine studies with 1520 participants. There was moderate quality evidence that post-treatment exercises can reduce both the rate and the number of recurrences of back pain. However, the results of exercise treatment studies were conflicting. Adverse (side) effects of exercising were not mentioned in any of the studies. Limitations of this review include the difference in exercises across studies, thus making it difficult to specify the content of such a programme to prevent back pain recurrences. Summary: Exercise therapy appears to be slightly effective at decreasing pain and improving function in adults with chronic low-back pain. For patients with acute low-back pain, exercise therapy is as effective as either no treatment or other conservative treatments. Exercise therapy appears to be slightly effective at decreasing pain and improving function in adults with chronic low-back pain, particularly in populations visiting a healthcare provider. In adults with subacute low-back pain there is some evidence that a graded activity program improves absenteeism outcomes, though evidence for other types of exercise is unclear. For patients with acute low-back pain, exercise therapy is as effective as either no treatment or other conservative treatments. Can exercise help with low back pain? It depends on the nature and duration of the back pain as well as the type of exercise. Chronic non-specific low back pain can benefit from exercise rehabilitation. Acute low back pain and specific (neurogeneic, discogenic, spondylilosthesis, etc.) conditions may respond better to other modalities initially. What type of exercise will help with chronic low back pain? There is no consensus on one definitive exercise intervention. Therefore it is wise to steer clear of dogmatic approaches and practitioners that give guarantees on their particular modality. The data above indicates that Pilates and core stability (motor control exercise), which have been heralded as a cure for back pain, are not superior to general exercise. Movement is good, but using the right kind of exercise at the right time is important. Patients need to find a practitioner that can assess their needs and give them an exercise intervention that is tailor made to their needs, not to dogmatic beliefs. Ask your Orthopaedic Surgeon (back specialist), GP or Physiotherapist if they feel that you may benefit from seeing an exercise specialist like a Biokineticist. Otherwise contact your local Biokineticist directly to discuss your case history. 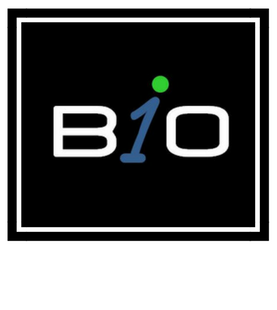 If you are not a suitable candidate the Biokineticist will refer you back to your Specialist / Physiotherapist for more information / treatment.